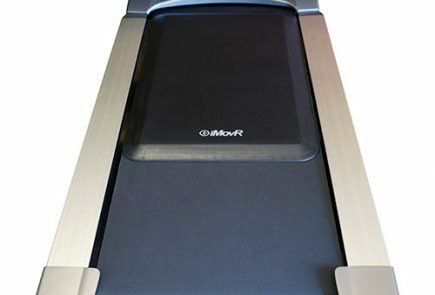 After developing a hard-earned reputation for the most robust testing standards when it comes to adjustable-height workstations and treadmill desks, our expert review staff did not take lightly the task of reviewing all the popular anti-fatigue mats on the market. It took over a year and a half to test them, get a solid education in mat manufacturing science from industry experts and researchers, and formulate the many reviews you can read on this website. But, it was well worth it, because we now have a solid understanding of what qualities and characteristics make the best standing mats—and the worst. In this article, we have synthesized everything we’ve learned about what separates a good anti-fatigue standing mat from a bad one from an objective and scientific perspective. Your feet are just as important for a healthy standing posture as the rest of your body. Just as too much sitting is detrimental to your health, standing on a hard surface for too long carries its own risks. A hard standing surface can lead to pain and injury and can discourage users from getting the full benefits of standing at work. Wearing comfortable shoes can help, but the best way to protect your feet is with a quality anti-fatigue standing mat that will allow you to stand longer and in greater comfort throughout the day. 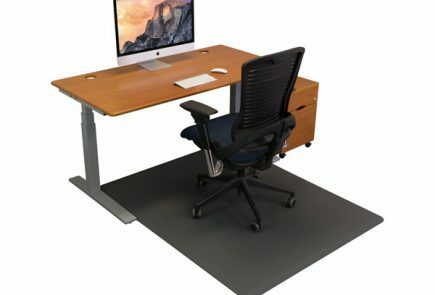 The problem is that most standing mats, such as those available in your local department store, aren’t designed for the hours of daily standing you need to combat sitting disease at work. Anti-fatigue standing mats were originally designed for kitchen/home use or for industrial factories/warehouses. Residential mats will be much squishier and will only provide comfort for perhaps an hour or so, since that’s as long as most people will be using them in the kitchen. They are meant to be used with bare or socked feet—definitely not hard soles and heels.Standing on these mats in shoes can leave you feeling a bit off balance (and conversely, standing barefoot on a firm standing desk mat can leave your feet feeling smothered). In contrast, industrial standing mats have an absolute minimum of squish and are more about preserving traction in a wet environment or reducing heat loss through your shoes when working on cement floors—and less about keeping your feet as comfortable as can be. Ergonomics – Long-lasting support and comfort is key to avoiding muscle strain or injury. Standing mats should provide constant foot, back, and leg pain relief, reduction of spinal compression, and improvement in sit-reach flexibility all day, without loss of buoyancy (explained below in The Science Behind Our Testing Method). 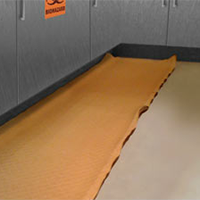 Wear and Tear Resistant – Good standing mats will not only hold up against chairs, dress shoes, and high heels but will also resist delamination, tearing, staining, microbial contamination, chemicals, and heat (up to 400°F is a good reference standard). Sealed Bottom – A wide range of standing mats, even some that start at $100, are sold with foam bottoms that will disintegrate fairly quickly and cause the entire mat to lose integrity, no matter the quality of the top side. Non-Slip Surface – This should be a given, but not every mat manufacturer believes in this minimum requirement. Travel Control – “Travel” refers to a mat’s tendency to slip around on the floor. Particularly, if you’re going to plant your mat on stone or wood flooring, or if your floor environment is one that might get wet, look for a mat that won’t move out of place when you stand on it or try to roll a chair onto it. Thickness – Standing mats that are 1/4″ or 3/8″ thick will provide very little relief for your feet and back. Halfway-decent mats begin at 5/8″, and the very best will be 3/4″ thick. Keep in mind, though, the material matters as much as the thickness. A 3/4″-thick sponge mat won’t provide as much support as a 5/8″-thick solid polyurethane mat. Compression Modulus (Support Factor) – Surface softness (or hardness) isn’t the only thing to consider when shopping for a standing mat. Material compressibility is what determines how comfortable a mat will be for prolonged use. If a mat is too squishy and soft, it will compress too much (‘bottom out’) under weight, becoming virtually as hard as the floor. On the flip side, a mat that doesn’t compress at all will create too much pressure on the legs and feet. A perfect mat will be firm enough to support your weight, but will give slightly under the feet to create instability and promote blood circulation, which relieves tension from pressure points in the lower back, knees, calves, ankles, and heels. 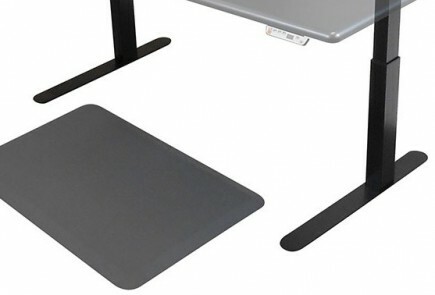 Shallow, Beveled Edge – If you intend to roll a chair onto your mat or don’t want to keep tripping when approaching your desk, a mat with a 20-degree bevel is ideal and will be ADA compliant as well. Cheaper standing mats will eventually curl at the edges, while mats that are molded using single-body construction have the highest integrity edges. Testing Lab Certifications – Few standing mats under $100 have been lab certified. Look for certification from organizations like ANSI or NFSI (American National Standards Institute and National Floor Safety Institute) in particular. For corporate and government buyers, these certifications are often a prerequisite given the potential liability issues around slip-and-fall injuries. Warranty – Some standing mats are backed by weak warranties that give the manufacturer lots of “outs,” while others have serious performance warranties that will cover the degradation of the product from normal wear and tear. Five years should be the minimum on a product of this nature. That said, you’ll find some of the longest warranties on the cheapest mats because they are, in fact, very inexpensive to replace. And replace them you will. Aesthetics – Must we say it? Some mats are downright ugly. With so many quality standing mats in aesthetically pleasing colors and textures, why invest in something you’ll hate looking at every day? An anti-fatigue mat’s effectiveness is owed to its construction—as with a mattress, it’s what’s inside that counts. 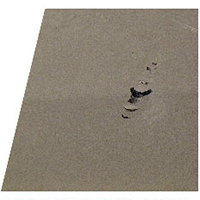 Low-quality mats can’t withstand the daily pounding of feet without breaking down; they tend to tear, delaminate, and lose their bounce over time. Because of this, they are generally unsuitable for someone who is trying to stave off sitting disease and wanting to maximize their standing desk time. Foam-bottom standing mats are easily ripped and shredded. Wear-through and delamination is inevitable for a two-piece construction mat. Impressions linger on mats with insufficient buoyancy. The two-piece construction of rubber over sponge leads to lifting and separating. 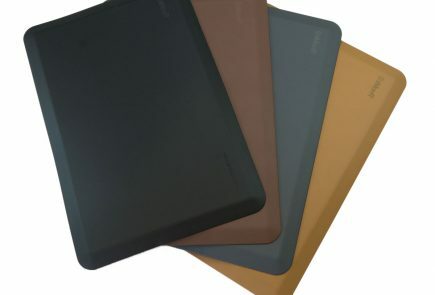 Rubber doesn’t have the durability needed for a quality standing mat. 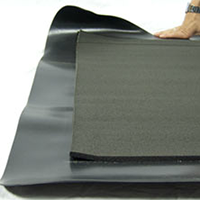 Gel mat edges easily roll up, creating a trip hazard. When it comes to standing surfaces during the workday, the bare essentials of a low-quality mat won’t be enough; workers will find themselves in serious discomfort if they stay standing for too long without the proper assistance. To really get the most out of a standing workday, you need a durable anti-fatigue mat that will provide hours of foot relief. A mat won’t benefit from all these unique features unless it is made of solid 100% polyurethane. That means no additional materials, no layers, and no exceptions. The very best anti-fatigue mats that will last the longest and never degrade in performance are made of unibody polyurethane with nothing blended in or sandwiched on the inside that can compress and lose buoyancy over time. Something that many consumers don’t think about until after they make a purchase is how much the mat travels on the floor with daily use, which can turn out to be a nuisance at the office, or a downright trip hazard. While polyurethane is not immune to slipping, good quality mats will not travel around the floor regardless of the surface type. Low-quality mats will easily slide across the room even on carpet. Why doesn’t every mat manufacturer use polyurethane? It’s a pricey material, and standing mats made from it can run up to twice as much as mats made using cheaper construction methods. While that sponge mat may be less expensive up front, you’ll likely need to replace it in a year or two, which will mean shelling out more money. 100% polyurethane unibody mats will last much longer; ostensibly, they should last a lifetime. Therefore, they will be the more affordable choice in the long run. Polyurethane standing mats aren’t just more affordable over time than cheaper foam or gel mats—they’re also more environmentally friendly. Keeping a quality product for a long time is one of the best things we can do to reduce our individual consumer waste. And since polyurethane standing mats have such a long lifespan, fewer replacements mean less fodder for landfills. Polyurethane is also a completely recyclable material, so even if you do someday retire your mat, it can be reincarnated as other products like carpet underlay, sports mats, cushioning, or even other standing mats. Spend half as much on an anti-fatigue mat you’ll be replacing yearly, or be kinder to the environment—and kinder to your wallet in the long run—by investing in quality. There are lots of anti-fatigue mat reviews out there on the internet that were written by merchandisers or bloggers, not expert product testers. We’ve read quite a few of these “reviews” that were challenged by subjectivity, narrowness of testing criteria, or a very limited number of different models. None have conducted objective laboratory testing, and when we added the anti-fatigue standing mat category to WorkWhileWalking’s reviews docket, we wanted hard scientific data to back up our collective subjective opinions. So, we reached out to real industry experts to learn about what separates a flimsy mat from an exceptional one. The two most reliable and objective methods of testing the performance of a standing mat are to measure the user’s spinal compression and sit-reach flexibility as they change over the course of a day. A research study conducted by the Health Science Center at Texas A&M University was the most informative in this regard. The concluding dataset represents 28 subjects standing for the majority of an eight-hour workday on no mat, on a 100% polyurethane mat, and on three other mats made from various vinyl, rubber, foam, and sponge constructions. According to the study, all standing mats will reduce users’ spinal compression and increase the sit-reach flexibility as compared to using no mat at all. However, multi-layer standing mats will provide only a very nominal reduction in spinal compression (typically 10%-12%), while 100% polyurethane unibody mats will decrease spinal compression by almost 40%. Polyurethane mats will also improve sit-reach flexibility at the end of the day by almost 300%. Again, the lower quality mats showed much less impressive results, the highest of the three being a 33% increase. The dramatic findings from the TAMU study aligned very closely with our own usage testing. After examining dozens of standing mats over the course of eighteen months, we gradually came to the conclusion that 100% polyurethane mats made with a unibody construction are the best anti-fatigue mats—and the only kind a serious standing desk user should ever consider.